An engagement ring, and wedding bands. The cost, meaning the groom and his future bride makes, the bond, and look they have, is so very unique in every single one of them. Creating an image in a artistic way of these jewels as a Charleston Wedding Photographers, is why your clients, give you the honor and privilege to document their day. They have seen your website, then your blog, they have looked at several different Charleston Wedding Photographers, but they found you to be their choice. That is a huge honor, sure you get the business, but the trust they put into your hands, is the greatest part. On a typical wedding day there is so much to capture, how do you remember everything that your clients, invested in, and have done for they're wedding they want to remember? That is what make me different then most,Charleston Wedding Photographers. I always try to photograph out of the box, to create a different look of images for every wedding no two weddings are alike. 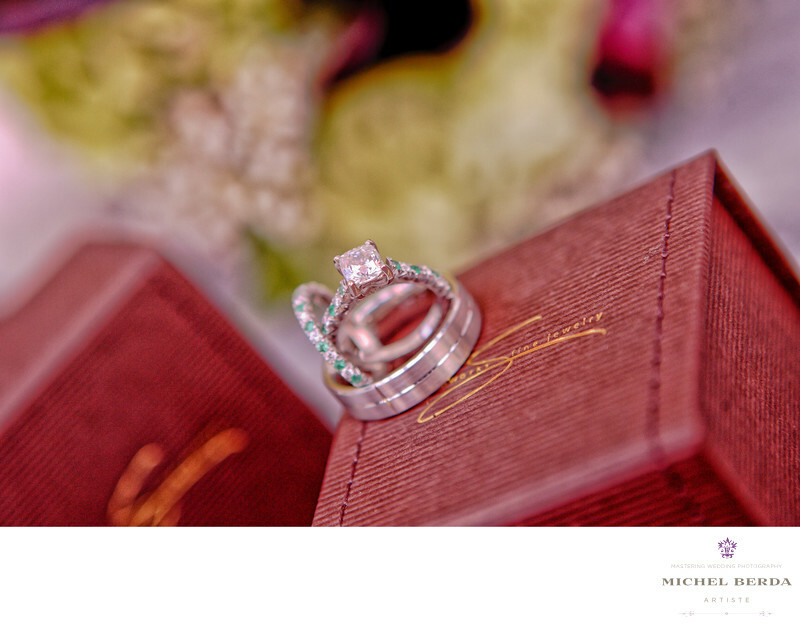 I love photographing details, the engagement rings has so much meaning that the final image must represent that. For this wedding back in 2012 in Charleston, South Carolina, I had the honor of creating and photographing this amazing image. I looked at many different ways to photograph the engagement ring, and the wedding bands, and when I saw the red box that they came in, I knew exactly how I was going to capture it. The final result after all the post production was completed is amazing. The image is very sharp, every detail properly displayed, bright with vivid colors. An image today as I wright about is one of my favorite images I have captured in my wedding photography career. Keywords: Charleston (1179), photographers (3), Wedding (90), Wedding Photographers Charleston (12).